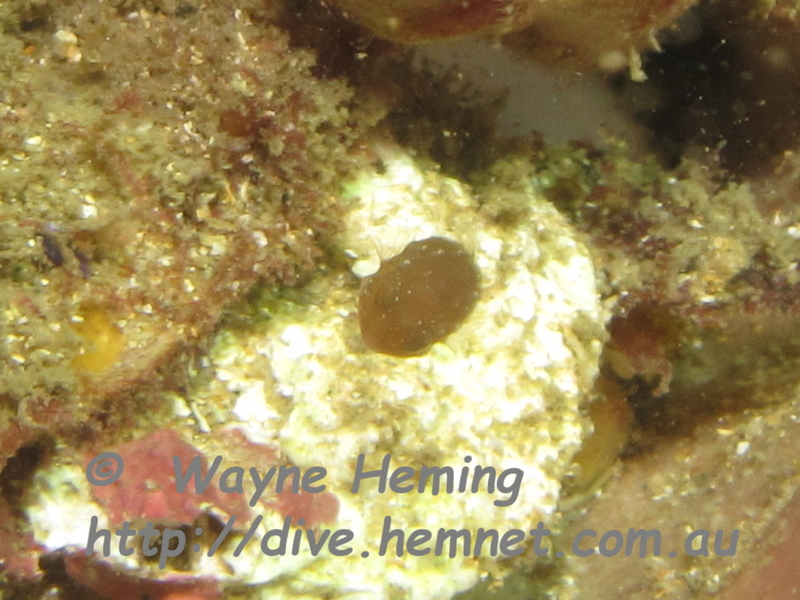 We headed down to Marley Sponge Gardens but again a raging current stopped id from diving there, so we headed to Watomolla, it didn't look good, so we headed to the The Nose, a place we found a few months ago. We anchored in 16m and a wall about 5m run south, another wall below us ran along the sand line at 20m. Visibility was excellent at 20m. A few PJ's around, Moray Eel, and Paul found a very small (5mm) box fix swimming around inside a sponge. I took 10 photos and only one was reasonable. For our second dive, the Split, we found 2 x Donut Nembrothas one quite large at 75mm. 1 x Pineapple fish and some squid eggs.